Beginners face many difficulties when they try nail art designs on their hands. Such as some face the difficulty of color combination, color splashing issue, don't know how to use nail art tools and much more. Here i am going to guide beginners that how they can make their nails beautiful and attractive at home without need of any nail art expert and how they can make their perfect nail art. 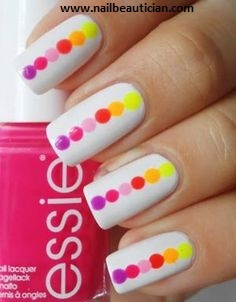 Make your nail art design simple and easy. What to do if you mess up with your nail art design? How to use tools for nail art? 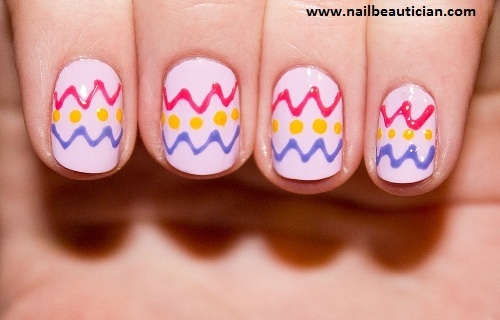 If you want to make different nail art designs on your hands, than it is not necessary to grab expensive nail art tools. First you have to try nail art designs with the alternative tools such as use cotton buds for making dotts, use toothsticks for making small patterns, flowers etc. One can find alternative for every nail art tool at home, so once you experienced with that than go to buy tools. I am going to show you the designs that are made with the household tools. What to do if you mess up with your nail art? Beginners have the issue of messing up with their nail art designs. For this i recommend them to do their nail art in a calm environment, and take a piece of cotton with nail polsih remover on it. Where you feel your nail art is messy apply a small piece of cotton their and remove it, and try again. Don't use the nail colors that are hard to remove and make a spot on your nails. Use mess no more liquid tape around your nails to protecting them from any mess. 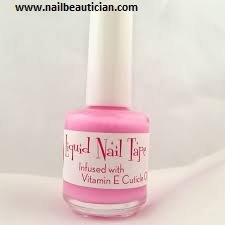 If you don't want to buy the liquid tape than bring cotton and nail polish remover with you while doing nail art. For the beginners that don't know the use of tools. It is recommended for them to have complete knowledge of nail art tool before buying it. One should know how to draw different patterns using the tool, how to clean the tool and how to buy the perfect tool. Different companies are providing nail art tools for our ease, but for us it is needed to choose the tool that is reliable, and cost less. Tools that are most commonly used are nail art pens, dotting tools, 3D stickers, glitters etc. At last i am going to say to all girls out, who want to do nail art that you should follow the designs that are understandable by you. Don't copy the complicated designs and the celebrity nail art designs at initial level. 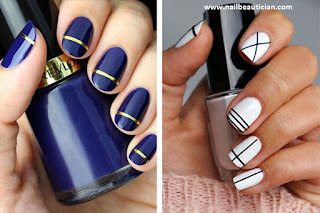 The main purpose of this guide is that beginners learn to do nail art without the need of professional nail art designer. With the passage of time and experience you'll learn to do the best nail designs. Hope you guys got many information from this guide. Beginner's follow these steps to have their best nail art.